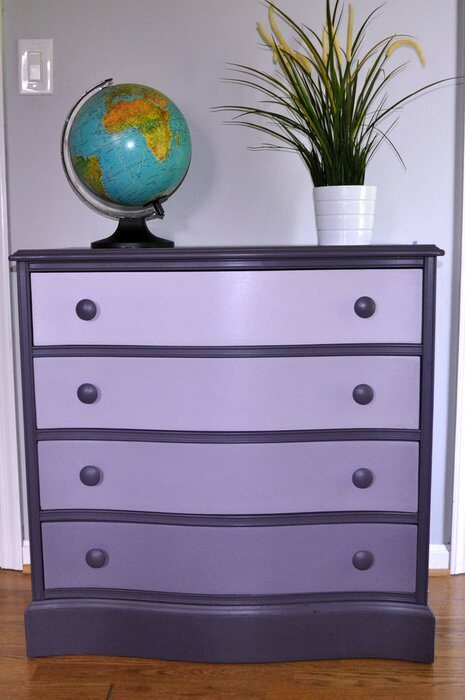 If you’re looking to build a DIY dresser, look no further. We’ve assembled a list of 15 free plans you can build. There are some interesting options on this list. #15 is a mirrored option; #12 is made from an upcycled pallet; and #7 is a floating vanity design. So there’s definitely a bunch of different styles you can pick from. Keep in mind, this is really an intermediate woodworking project. 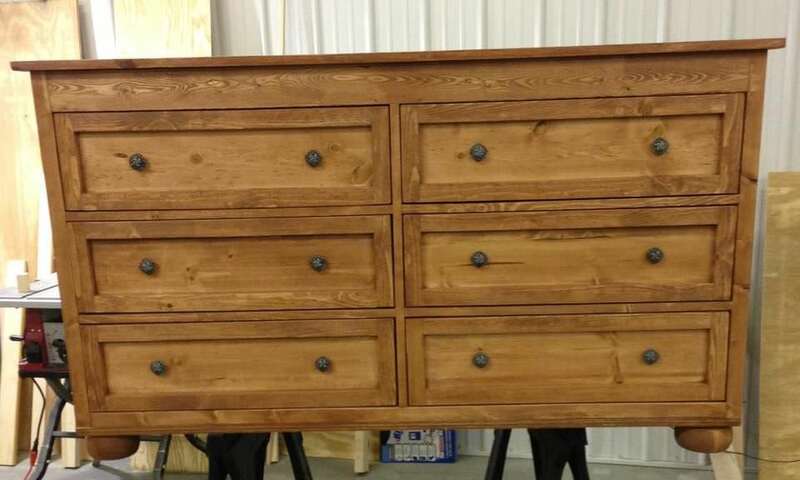 This basic dresser is made using just a table saw, Kreg jig, and skill saw. Once you build your frame, work on the inner frame for the drawer supports. Make sure to build the actual drawers a bit smaller than the frame to allow fluid movement in and out. You can then get creative with the trim and finish that you use. If you’re using an expensive wood like walnut, you might want to only use a polish to bring out the natural beauty. If you’re using something like pine or plywood, you might sand it and give it a few coats of paint. This sleek and minimalist dresser looks like something you’d find at IKEA and also functions as a nightstand. 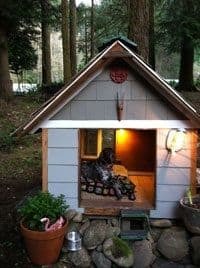 To build this, you will need medium density fiberboard, caulk, wood glue, spackle, plywood, a miter saw, router, compact drill, and a few more tools. First build the shelves and drawers, router the drawers, install the rails, and build the top and fronts to each piece. If you have any gaps, you can use caulk to fill them in before priming and painting this. Once the paint is dry, you can add the drawer handles and you’re finished. This builder had a broken dresser hanging out in the garage and spruced it up to be like new. 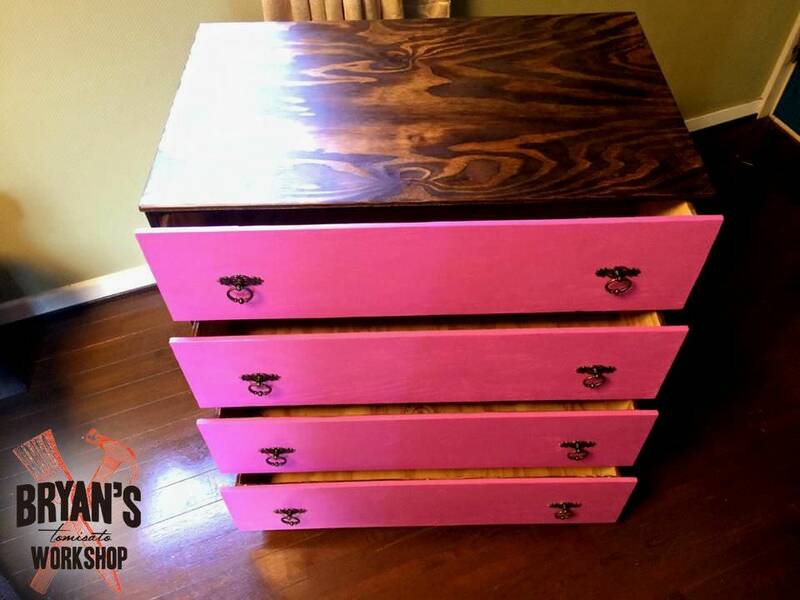 He used the functioning drawers as templates to make new ones out of spare wood. Once everything was reassembled, he sanded and stained the dresser with two coats of a darker color to bring out the grain of the wood. The old handles were also replaced with strips of wood for a more modern and unique look. 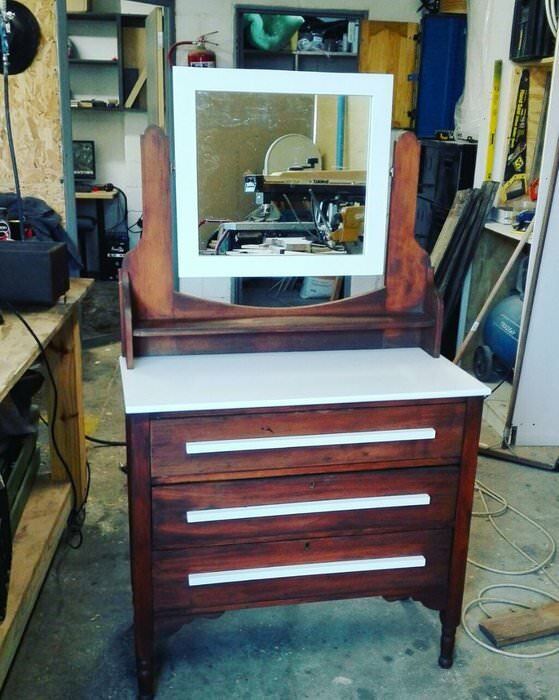 This had previously had a mirror attached to it, so the builder also bought a new mirror and painted the frame white to match the top of the dresser. If you’re elderly or have knee problems, it can be helpful to sit down while putting on your socks and underwear. 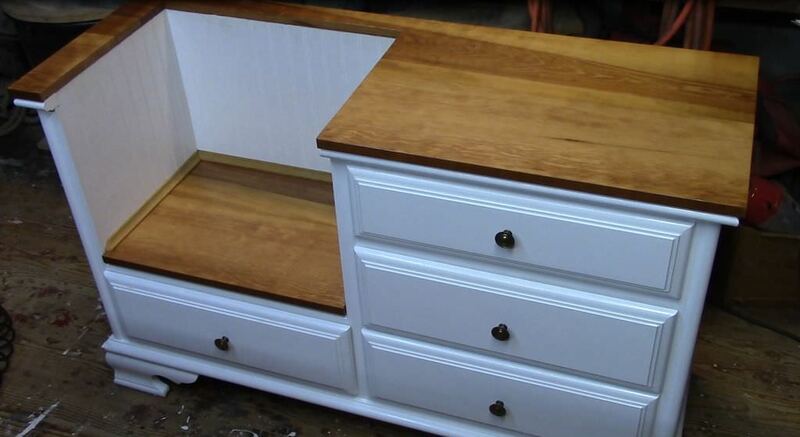 This dresser aims to do that but providing a built-in seat area. You’ll need an old dresser to use as a base – if you don’t have one, check your local thrift store. Start disassembling the frame and removing some of the drawers for the bench area. You can also remove the backing and replace it with something new if it doesn’t match your new aesthetic. Then cut out a piece of wood for the seat and fit it into the frame with supports. This builder was given an old dresser that had been in the family since the 1930s and needed a lot of restoration. To begin, start stripping off any layers of paint until you get to the bare wood. Then give the dresser a good sanding and make sure there are no cracks in the wood that need repairing. Now begin painting it the color of your choice – don’t forget primer and polish. You will likely have to add new drawer pulls and hardware, depending on the condition of your used dresser. This should bring back all the character to this old piece of furniture. 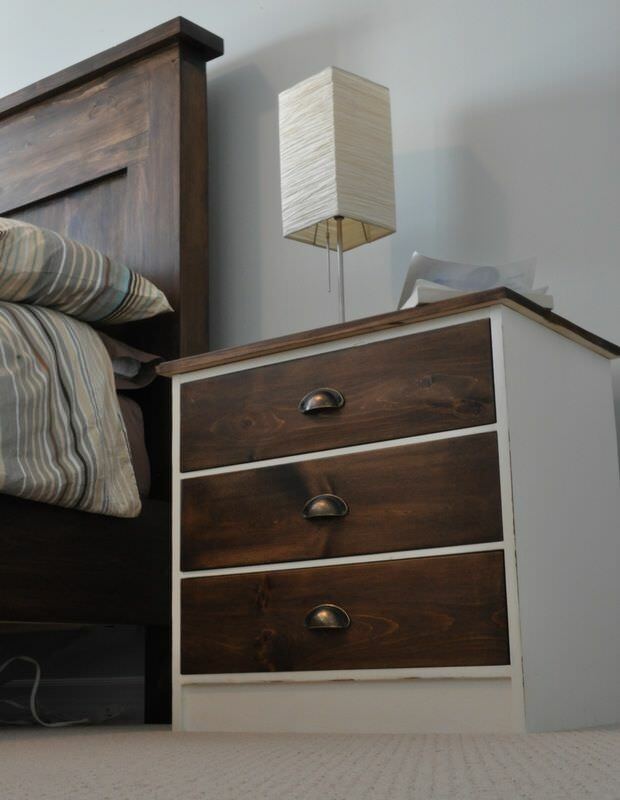 If you have a dresser that works but are sick of the old design, you can easily revamp it. This builder replaced the cheap medium density fiberboard fronts and top with a sturdier pine, though that wasn’t necessary. If you just want a new look, you’ll need some drawer handles, paint, stain, and primer. Remove the handles and begin painting. Painting the drawers a darker color and the body a lighter color will provide a nice contrast – this builder painted the body white and stained the drawers and top with a dark walnut color. Once everything is dry, attach the new handles. Want something a little out of the ordinary? 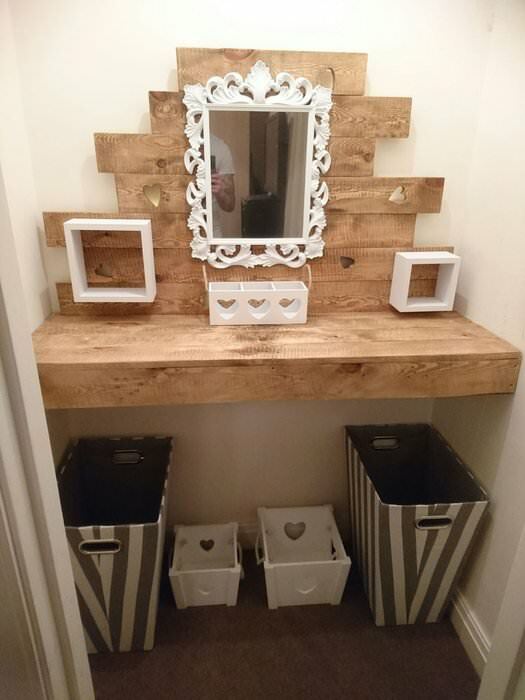 This vanity is fixed to the wall and allows for a large amount of storage space underneath. You’ll need a few supplies for this, like a power sander, wood glue, reclaimed wood, LED battery powered lights, sandpaper, and a circular saw. Measure the area you want to place this and cut your wood to those dimensions. Add some wall supports, create the backboard, then sand it. This designer cut out hearts to be illuminated by the backlights though you can skip this step. Carefully mount the shelf and backing to the wall. 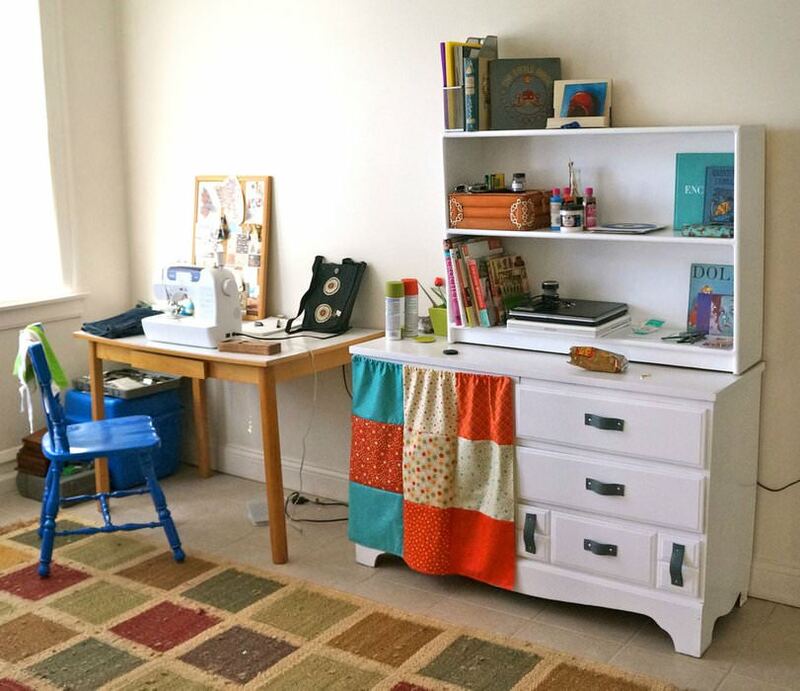 This builder decided to tackle sprucing up an old children’s dresser abandoned on the street. If you’re doing the same, make sure to clean the dresser a whole lot and begin painting it with several coats of latex paint. To get even more creative, this builder used an old leather purse and cut the strap into pulls for the drawers. The most important thing about this is to make sure the straps are screwed into the drawers super well. She even removed the drawers on one side and instead made a patchwork curtain to cover it. This is a perfect solution for children’s clothes storage – clothes can be hung up, shoes can be placed below, and one drawer remains for underwear and socks. If you can find a dresser made out of real wood that’s good quality, this will cost you next to nothing to build. Remove all of the drawers and supports except for one. Then add a bar so you can hang up clothes. You can paint or stain this, though this builder decided to leave it as is. Keeping the bottom shelf intact allows your little one to easily have access to the drawer. This couple had a functional IKEA dresser that lacked some pizazz, so they decided to add some personal touches. Using some knobs and pulls from Amazon, a power drill, and screwdriver, they were able to completely change the look of this. Carefully measure to find the center of each drawer and mark where the hardware should go. Take the drawers out, then drill a hole, install the hardware, and put the drawers back. If you wanted to, you could paint or stain hardware as well before attaching it for a different pop of color. 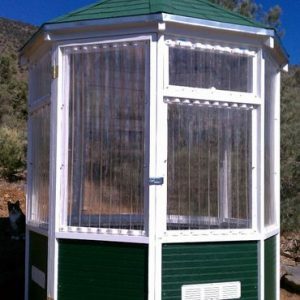 If you love building things from scratch, this is a great DIY project to tackle. Start by building four rectangle shaped boxes out of plywood, using one as a template and guide for all of the others. Then glue them together and begin crafting the side and back pieces of the dresser. Using your same guide, cut out drawer fronts and attach them. For the legs, simply cut out four equal sized pieces of fence posts and glue them on. You may also want to save your nicest looking piece of wood for the top and stain it. 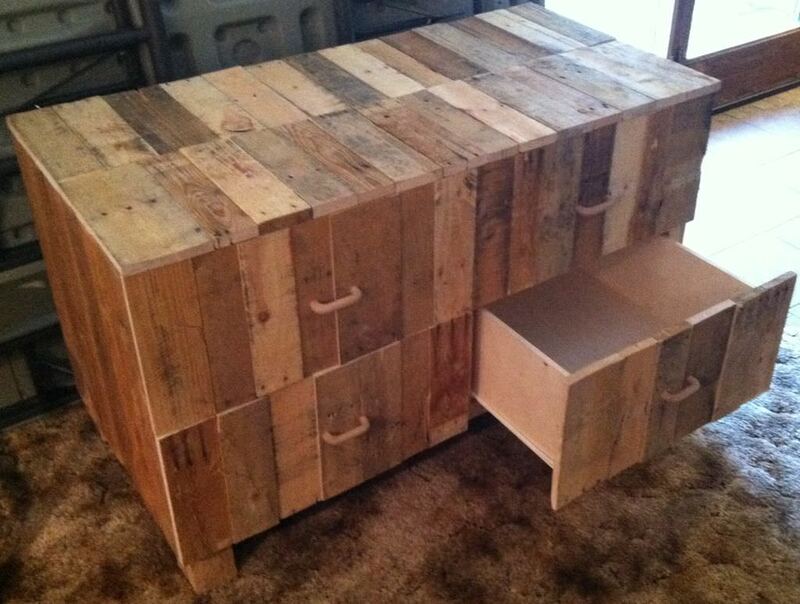 Pallets are often discarded though they have a number of great uses when it comes to DIY projects. If you can come across some old pallets, it’ll save you a lot of money. 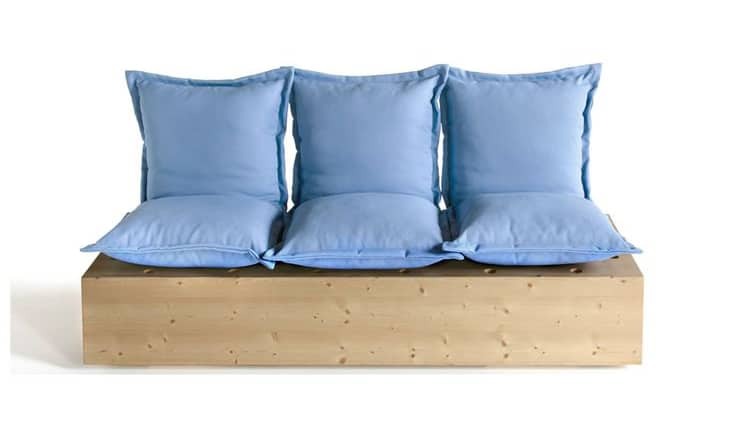 You’ll also need oak, an air compressor, plywood, wood glue, pocket screws, stain, miter saw, and polish to build this. First build the frame and drawers based on the blueprints and exact dimensions. If you want the dresser to have a rustic and worn look, you stain different panels different colors and assemble them in a pattern. Don’t forget to polish everything before or after assembly. 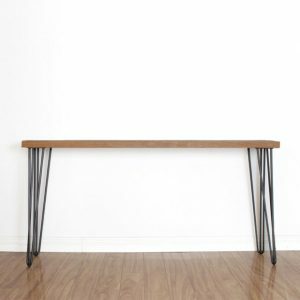 This is a simple modern dresser that could be found in any furniture store. However, following this DIY idea will save you at least $50. The wood for the top is douglas fir that will be stained later. The rest of the dresser is made out of framing lumber and plywood. This builder recommends staining the top first so it will be dry by the time you’re finished building everything else. Simply build a frame, create the drawers, insert them, and add on the hardware. You can easily paint the body before or after it is assembled. Who doesn’t love ombre? This is an easy way to give a piece of furniture some character and lighter colors can be used for an adult’s room or more vibrant colors for a child’s room. You’ll need an orbital sander, tact cloth, furniture wax, and a few other things. Sand you current dresser very well and prime it. For the paint, you can buy slightly different shades of the same color or buy one color, portion it out, and mix white paint into each yourself. Then paint each drawer with a few coats before adding a coat of polish. 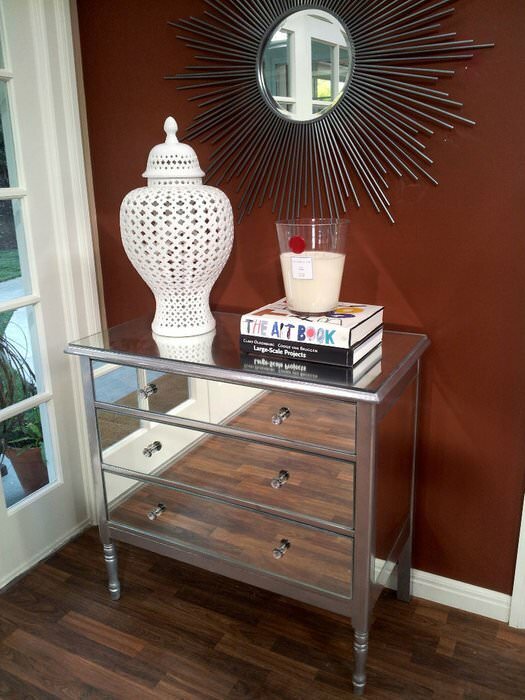 Mirror dressers are chic and elevate any space into feeling more elegant. All you need to make this at home is some sandpaper, mirrors, gunther mastic, chrome spray paint, and primer. The dresser you have must be sanded down and primed extremely well. Then begin painting on the metallic paint. You’ll need to get your glass mirrors cut to size by professionals. Once you have them, attach them to the drawer fronts with the mastic or other glue. You can paint your current hardware with the same paint or buy new glass knobs and install them. Over on Reddit, there’s a ton of DIY-types. Specifically we researched DIY dressers that were white, sets, those with mirrors, tall ones, 6 drawer designs, the Hemnes brand, 3- drawer styles, antique options, modern styles, Ikea brand furniture, lingerie dresser, 5-drawer models, solid wood builds, Highboy brands, grey colors, vintage styles, clothing storage options, French Provincial designs, Sauder brands, rustic options, corner designs, long models, metal styles, double builds, narrow plans, unfinished styles, the West Elm brand, the Oka brand, the Wayfair brand, the Broyhill brand, blue colors, espresso colors, tall narrow styles, cherry wood, low designs, black color options, waterfall styles. Over on Reddit, their woodworking forum had a question from an inexperienced builder who hadn’t constructed anything since he was a kid Working In the Woodshop with his grandfather. 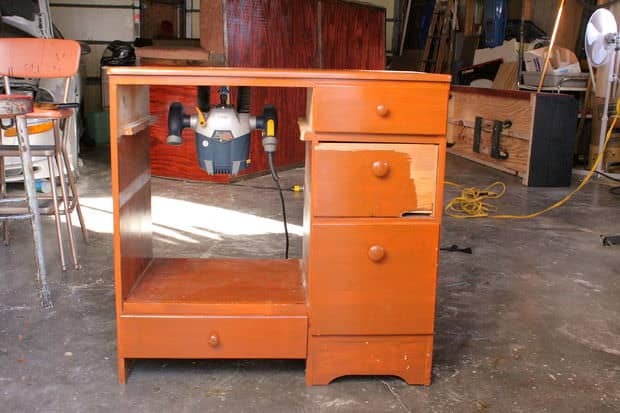 He was looking to construct a bedroom dresser that had a classic style with a pair of side-by-side drawers and then 4 large drawers beneath it. He envisioned it being four feet tall and also being 3 feet wide I’ve been although he has been studying architecture in college, but his school doesn’t feature a robust woodshop so he was looking for any sort of inside other builders could provide about undertaking a project like this. 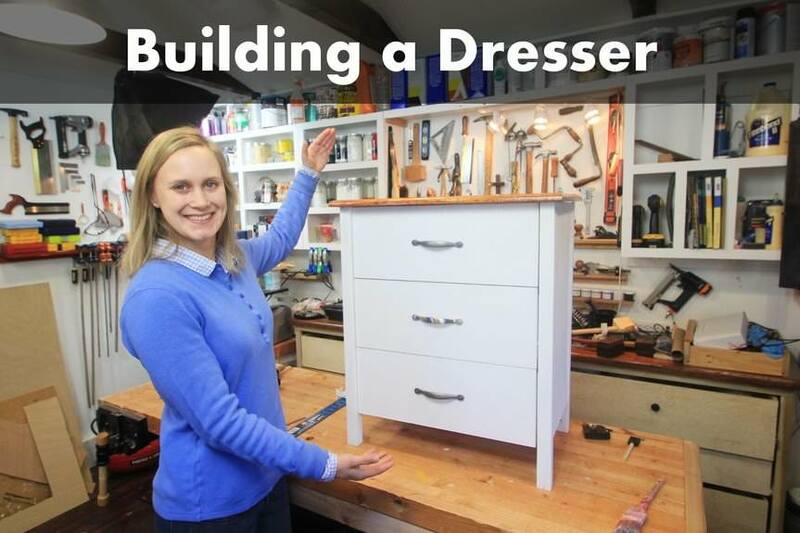 One Reddit user linked to a YouTube tutorial in which the creator makes a pine chest of drawers. Other users in endorsed his videos saying that the woodworker is great at explaining what to do, how to acquire inexpensive lumber, and also supplies a simple, minimalist design. they also say that you can use AutoCAD software to design components of the dresser to make eventual construction simpler. 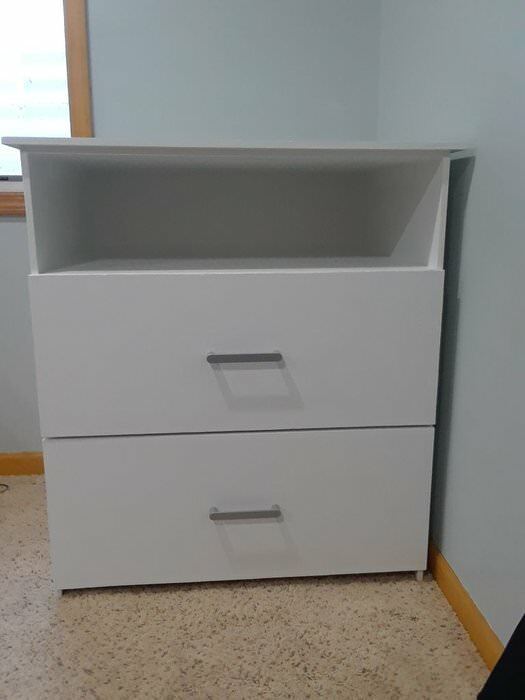 Another Reddit poster links to an Imgur Gallery- he was trying to emulate the design of a Pottery Barn dresser that had three rows of drawers separated into 3 Cubbies a piece. Several years ago, they were looking to furnish a nursery room- they found an amazing design on the Pottery Barn website but it was just too expensive for them. The finished product is pretty stunning- Reddit users commended Hannah saying that he created a beautiful family heirloom and the original poster responded that it was indeed a labor of love and anguish. In terms of how much it cost, while the Pottery Barn dresser would have caused $800 with shipping, the Woodworkers says that he probably spent about the same to build who’s design. Other users couldn’t believe that he didn’t have any woodworking experience. The original poster responded and said that he had never built something at this scale before- he had constructed a dining room chair rail and installed some closet shelving before, but at this particular woodworking project was well outside the range of his normal comfort zone. Another option we took a look at was a white and highlighter yellow DIY Home Makeover project. In this case, the user didn’t actually build the set of drawers but nearly performed a makeover using chalk paint. 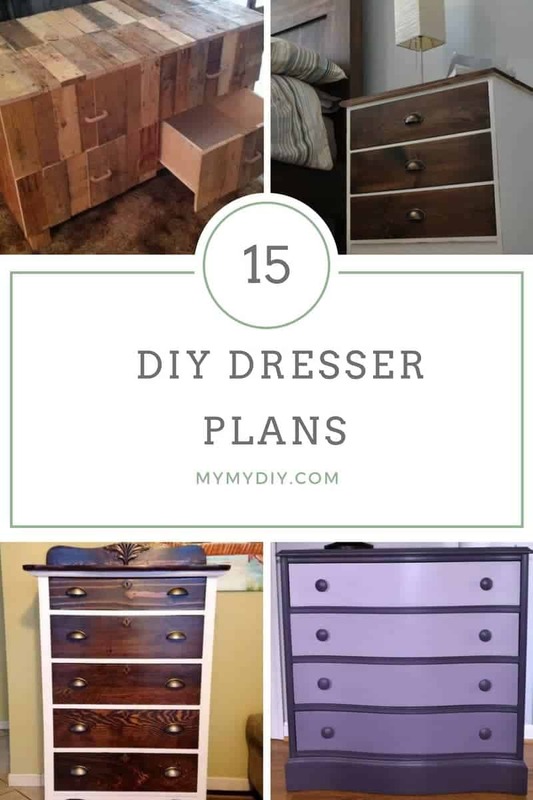 The original poster explains that we don’t consider themselves a DIY type of person but they had a great deal of fun rehabbing an old dresser- even touching up the accompanying nightstands. One person wondered if they had any difficulties with paint drips. The original poster responded and said that they didn’t have too much trouble with the drips except when they worked in the frames corners. Initially, she was guilty of some sloppy application but with a bit more experience she got better at it plus it was always simple to clean up. 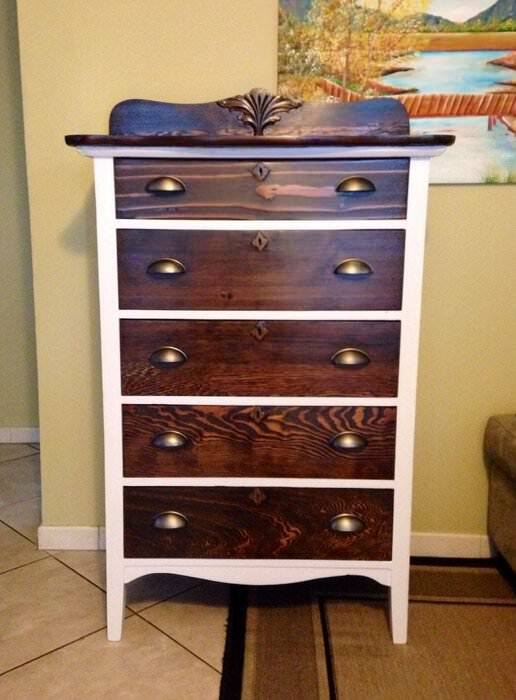 Another DIY woodworker posted images of a refinished dresser- the initial one was pretty worn out and yellowed and the finished one has a green and dark mahogany wood color contrast. He says that he used pure white chalk paint, paint stripper and a Minwax special Walnut stain to achieve the final result. Another cabinetry specialist posted an Imgur gallery of an extra wide dresser that is a dark blueberry blue. One poster had a variety of helpful tips, commenting that generally, half-inch plywood can perform adequately for furniture, except in cases like bookshelves where you need a more robust weight requirement. He also recommend purchasing utility shelf boards from Lowe’s or Home Depot that are built with basic Pine. After you purchase them, you can use a table saw to shape them into the necessary shapes. The last helpful tip he offered, he explains that a lot of contemporary paint styles don’t require that you use a primer for the pear wood. While you might have to do a little bit of touch up on dark spots or knots so that they don’t bleed through. Other posters wondered how difficult it is to get an exact fit with the drawers to ensure that they end the square and flush. The poster said that if you are looking for how to build one of these, the drawers are going to be a real bone of contention. Probably the most difficult design is drawers with flush-mounted fronts – this is because they have to be perfectly oriented otherwise errors are incredibly noticeable. 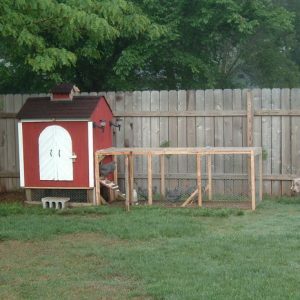 A different question emerged from the DIY Forum- one Builder was looking for advice regarding where to get wood cut the sides Home Depot. The top poster said that when it comes to employee Home Depot to do the cuts for you, it’s best to think of them as a strictly utilitarian option- they’re basically just trying to get the wood into your car and not so much crafting a detailed cut for furniture assemblage. Other posters help to clarify the list of cuts from PDF, saying that, for example, a 1 by 6 piece of wood that is 8 feet long means that the board will be 1 inch thick, 6in wide and then 8 ft long. Another poster had an interesting suggestion, saying that you can often find a lot of scrap wood at yard sales, Craigslist or thrift stores- even purchasing the structure of a dresser and then just rehabilitating it, which is easier than building one, for sure. 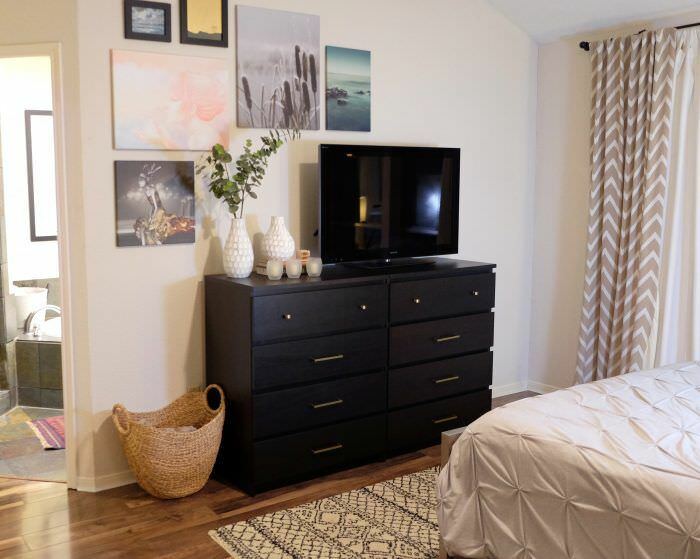 He cautions that you don’t want to think of a dresser that is merely a simple box that contains a bunch of other sliding small boxes, the cuts can be complex and they will help to determine how strong and durable this bedroom furniture will end up being. 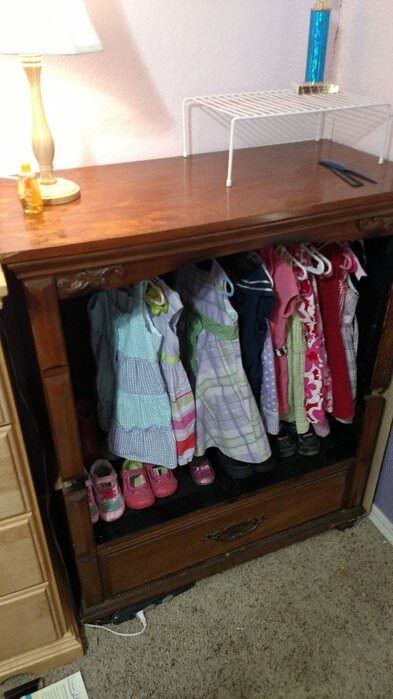 Another poster submitted an image of their refinished childhood dresser. Some of the posters were somewhat critical, saying that the application of gold leaf was a bit much and somewhat diminish the aesthetic. The original poster says that they use fake gold leaf purchase from a crafting website and a specialty adhesive called sizing. The way he applied it to be spackled it with a brush, let it dry for a little while, and then perform some sheet smashing.